Known as the best solution for when your gorilla (or just about anything else) breaks, Gorilla Glue is one of the strongest types of super glue currently on the market. Unfortunately, this also means spills can leave you in a sticky situation. Fear not, we’re here to tell you how to get Gorilla glue off skin and other delicate surfaces. The process is the same with Krazy Glue, Super Glue, or similar types of fast setting glues. How Long Does Gorilla Glue Take to Dry? What’s the Best Way to Use Gorilla Glue? While Gorilla glue is great for crafts, it’s not so great on skin. Thankfully, the glue formula is designed to break down with the right household solvents and a little effort. The following three steps will get glue off hands and other exposed skin. Gorilla glue dries quick, but having a clean rag or paper towels on-hand can make cleanup even quicker. Try to wipe up as much as possible while the glue’s wet. You should then be able to wash away any residue with soapy water. Acetone (and especially acetone-based nail polish remover can dissolve all sorts of chemicals with minimal risk to skin. Simply soak the affected skin in acetone for a few minutes. An alternative is to use cold, soapy water. Washing thoroughly can loosen the glue enough to be scraped off, although this method is less effective than acetone. Once you’ve gotten the worst off your skin, you will need to use an abrasive to get the rest. This can be an exfoliating beauty product or a mix of sea salt and oil or coconut oil. Abrasives will exfoliate the skin, getting rid of any remaining dried glue. Getting glue off fingers can be a little more complicated if you’ve glued those fingers together. 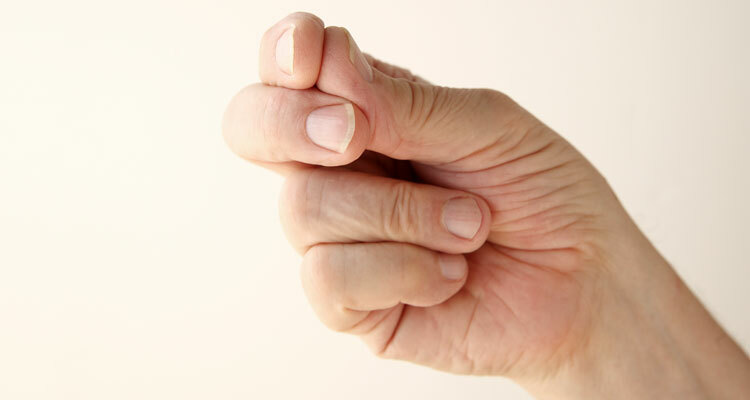 Under no circumstances should you try to force the fingers apart, as this can easily tear the skin. Instead, soak the fingers in acetone and try to spread them naturally. The glue will eventually soften enough for your fingers to come apart on their own. While skin requires just a little patience, getting the glue off other surfaces can take a lot more care. The following materials may require special attention to safely remove the glue. When dealing with glue on clothes, you must first allow the glue to dry on its own. Attempting to speed up the process can cause permanent staining, while trying to remove wet glue can just spread it around. You can then lay the cloth on a hard surface and (unless it’s a loosely woven material) begin to gently loosen the glue spot with your fingernail from the outside in. You can also apply acetone or lemon juice directly to the dried glue using a cotton ball for 15 minutes to soften the glue. This might require a few tries to get to the deepest part of the glue stain. Once the majority of glue has been removed, you can wash the fabric. Unless it’s a delicate, dry-clean material, pour a bit of laundry soap directly on the stain and work in in with a toothbrush. Rinse with cold water and pat dry with a towel. Check for any signs of staining and run through the washer one to two times to remove it. Hang the cloth out to dry. Clothes that can be dry cleaned should be taken to a professional cleaner. These shops have the chemicals needed to safely remove the stain completely. Be sure to give them as much information as possible so they can choose the best chemicals for treatment. Glass can be damaged by abrasives and require a gentler touch. Soak the surface in acetone to loosen the glue. Check every few minutes to see if the glue is loosened by testing with a fingernail. Once pliable, gently remove the glue with your fingernail or (preferably) a soft cloth. Wipe until the glass is clear of any streaks. You’ll want to remove any spills immediately with a dry cloth or paper towel. 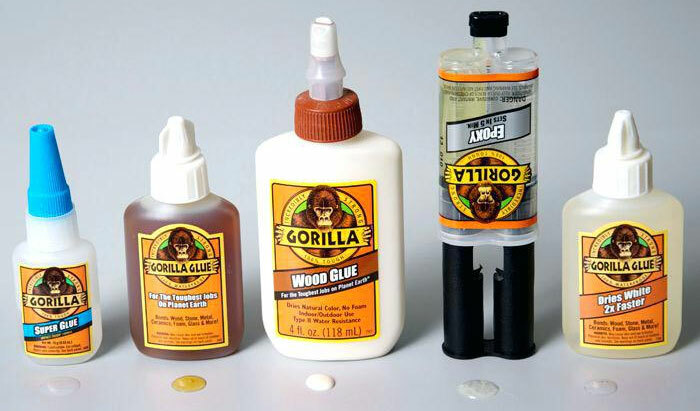 Gorilla wood glue will require a damp cloth or towel. You can put a little paint thinner on a cloth and rub away any tacky glue spots. Use a chisel to carefully remove large portions of glue with a chisel. Neaten up any remaining residue using fine grit sandpaper. Getting rid of a spill on metal needs to be done quickly, as the glue will become increasingly waterproof as it dries. Wipe away as much wet glue as you can, and then gently try to flake off more glue with a chisel. Use a fine grit sandpaper to remove any remaining residue. 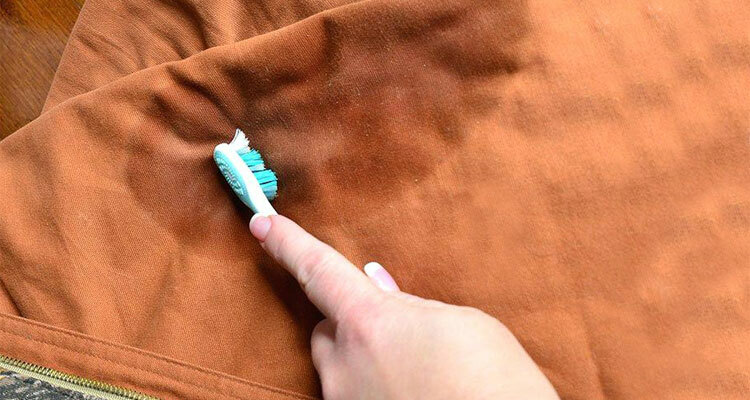 Finish up by using some rubbing alcohol, acetone, or paint thinner to remove any residue stains. Note: You can also use a heat gun on some metals. Gorilla glue begins to degrade at 215 degrees. If the metal can take this much heat, you can simply use a torch to dissolve the glue. Having removed dried Gorilla glue from a surface might give you a degree of relief, but getting the glue while wet or being prepared can help save this headache from occurring. Gorilla glue begins to dry almost immediately, and a small spot can dry completely within minutes. In more porous materials, the glue will soak in, allowing the surface to dry in 10 to 15 minutes, but curing can take up to a day. The best rule of thumb with a spill is to catch it within the first minute to get the majority off before if can become a problem. You can use a wide range of solvents on Gorilla glue. For skin, soapy water can actually work well, but water isn’t feasible on other surfaces, as Gorilla glue is designed to be waterproof. Acetone is one of the easiest and best solvents. Other options include rubbing alcohol (isopropyl), and paint thinner. The best way to avoid a spill is to practice techniques that keep the tube away from your work. 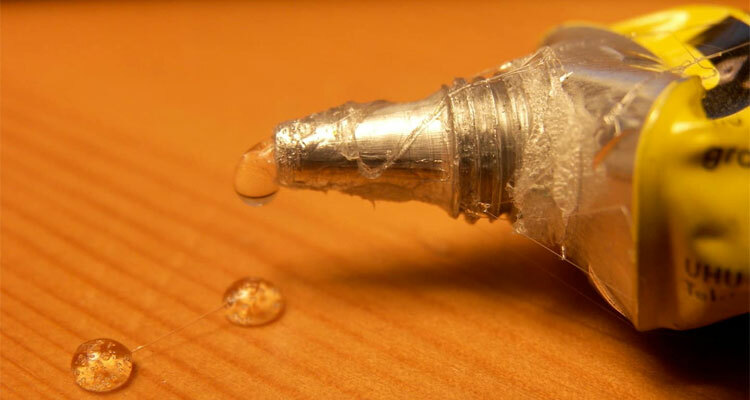 Use a small bottle cap or lid to est the glue tube so any drips fall into the lid. You’ll also have far better control over the glue if you use a toothpick or cocktail stick to apply the glue instead of using the tube itself.